It’s a Saturday. Who reads HR blogs on Saturday? The more important question to ask is “who has two thumbs and WRITES posts for Saturday?” This guy. Yup. It’s Saturday and I’m up early because I didn’t plan my week well and didn't get this done on Thursday, or Friday. My bad. Maybe your good? But that is the story of engagement. 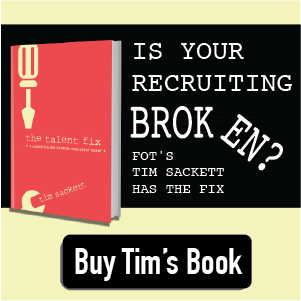 I’m engaged here at FOT – I like writing for this tribe. That’s why I’m up at 6:00 am on Saturday writing. I decided to be engaged here and the process we use allows me to wait until the last minute and put this post up. In other words… FOT provides the tools and the processes needed to get a Saturday post up and I get it done. Can you get your job done up to YOUR standards? What stops you from being great? Who stops you from being great? d with who you want to work with? These are questions about structure, process and systems. They aren’t touchy-feely questions that want to know about “feelings” or whether I feel “appreciated” at work. Don’t get me wrong – feeling good about work is important. But first I think you need to make sure you have the foundation in place to ALLOW people to do the things that make you want to recognize them. Too often I see people talking about engagement as if it is something you can create with gift cards and conversations. You can simulate it with those tools. But you can’t really create it without first giving the employees the ability to actually DO the work that makes them engaged. 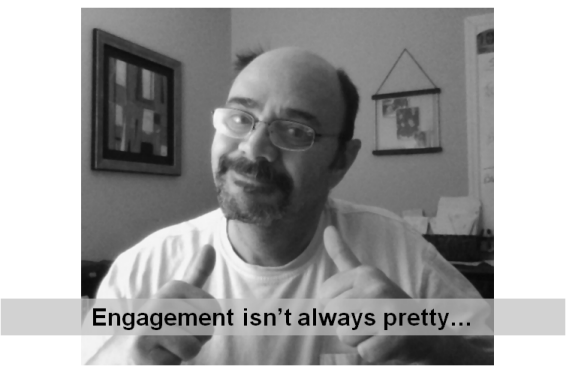 Engagement cannot be “given” – it must be earned. It has to be something the company allows to happen and the employee does. To me engagement is more about removing barriers than it is about creating work-arounds. Don’t just layer in recognition if you have system that prevents people from say… posting their blog on the day it’s due. Sure – I might get an atta-boy for getting it done on Thursday. But I’d much rather have a process in place that allows me to get up on Saturday and do it when the muse strikes me (or the Starbucks.) A process that allows me to do the work I like and am good at. Focus on the stuff that helps employees be great. Focus on the how – not the who – or the how much.